Thailand, original homeland of Muay Thai. With each product handmade, they hold a true combination of comfort and style. The Venum Bangkok Inferno Muay Thai Shorts has side slots that will offer you a wide range of movement without restriction. Its traditional elastic waistband will keep them well positioned around your waist with every powerful strike you make. Our Muay Thai Shorts have a great design, enhanced with colorful hand-stitched embroidery. 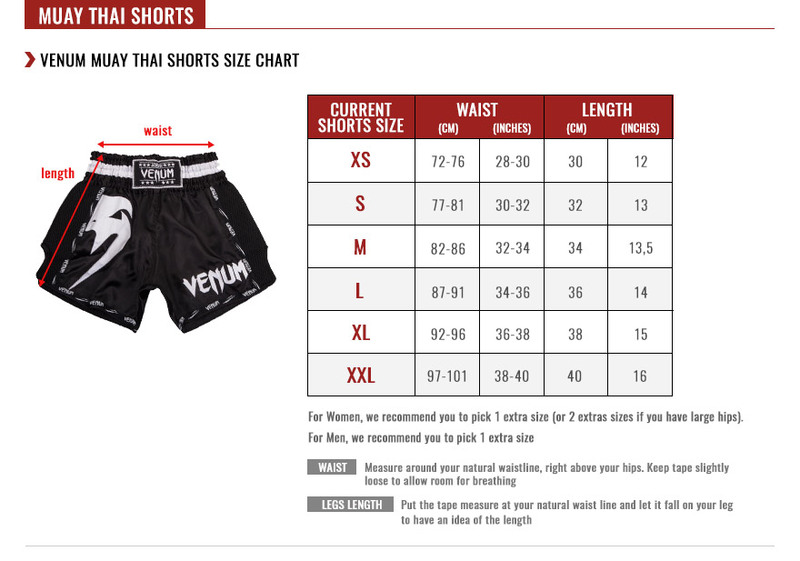 Insist on quality, intricate design, and comfort by getting your very own pair of Venum Bangkok Inferno Muay Thai Shorts! 100% polyester satin lightweight: Dry cleaning or hand wash only. Traditional wide elastic for comfort and support. Side vents specifically designated to increase your mobility. Wider leg opening for an unrivaled range of motion.